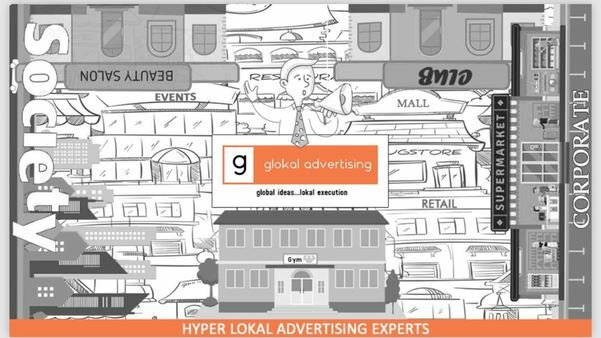 Glokal Advertising is a leading company in hyper local advertising. We have currently operations in all major cities. We are leading agency in corporate activities. We also have evolved in other BTL mediums like mall activation, petrol pump activation, car tagging, bike tagging. We have the largest society network across nation for RWA advertising.